Since joining forces with Firebase early this year, we’ve been working closely with our new teammates on the same mission: helping you build apps, understand your users, and grow your business. We want to combine our unique strengths to give you access to better tools and infrastructure, all while continuing to upgrade Fabric. That’s why in May at Google I/O, we upgraded Digits to Firebase phone authentication and launched more features for Fabric. As we work on integrating Fabric and Firebase, we're still continuing to improve Fabric. We started by officially releasing crash insights out of beta, so you can triage and resolve issues faster than ever before. Additionally, we launched fastlane precheck to help you avoid unnecessary delays from the iOS app store. We also built a new tool called snapshot in fastlane, which automagically generates app screenshots for all of your devices at the same time. Eliminating crashes is crucial to improving user experience. That’s why today at the Firebase Dev Summit, we unveiled a beta version of Crashlytics in Firebase to give Firebase developers access to our market-leading crash reporter. 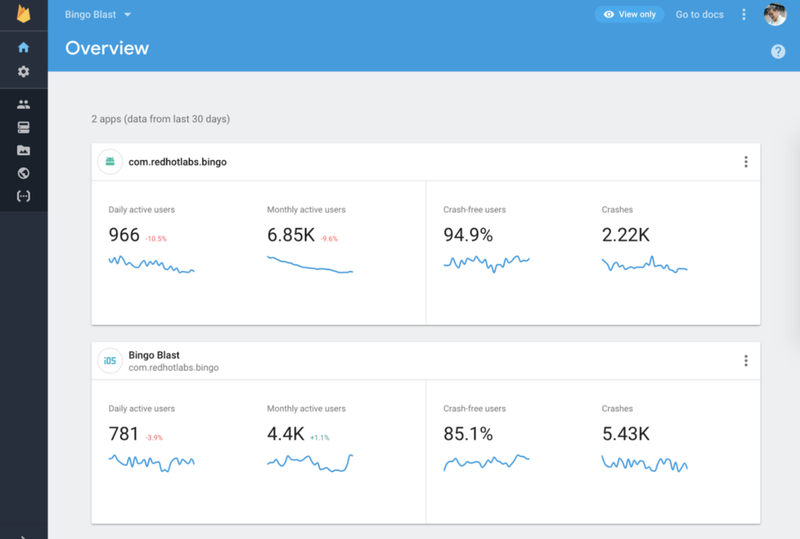 Firebase Crashlytics has the core crash reporting features of Fabric’s Crashlytics, but it also includes integrations with other Firebase tools. For example, Firebase customers can use Crashlytics to power custom workflows and get alerts about stability issues that impact a critical app flow (i.e. a payment flow). We also helped release a new analytics dashboard that is organized around the questions and tasks that you tackle on a day-to-day basis - with similar traits to Fabric’s dashboard we launched early this year. And much like Fabric’s “Latest Release” dashboard, Firebase now includes a similar section under their analytics as well as real-time data on crashes and active users. If you’re already using Firebase, these updates will be rolling out over the next few weeks (you can get early access here). We hope these updates are helpful to you, and we’re actively working on giving you one place to build, understand, and grow your app in the future! We hope you enjoyed our conference and found it helpful. If you couldn't make the event this time, check out the recordings for our keynote and technical talks!